Queenstown, New Zealand, 2015-5-12 — /Travel PR News/ — New Zealand’s Queenstown Airport is flying high after being voted ‘World’s Most Scenic Airport Landing’ in an annual poll conducted by international private jet booking service PrivateFly. An expert judging panel compiled a shortlist of airports considered to offer passengers spectacular views on approach, then votes were cast by international travel experts and travel fans. Queenstown Airport, which serves as a direct gateway to some of New Zealand’s most renowned scenery and visitor experiences, topped the list as the voters’ favourite. Other airports that made the Top 10 list included Las Vegas, Nice Cote D’Azur and Cape Town. Bill Prince, deputy editor of GQ magazine and a member of the judging panel, believes Queenstown Airport is a worthy winner as “a world class approach to a world class destination”. Queenstown Airport Chief Executive Scott Paterson is thrilled with the accolade and says it’s fantastic international recognition both for the airport and the region. Mr Paterson says the airport is a key New Zealand gateway for premium visitors and there are plans to expand and enhance its existing private jet facilities to better cater for growing demand. The airport is in the process of acquiring additional land to house the facilities. Queenstown Airport is one of Australasia’s fastest-growing airports and is New Zealand’s fourth busiest airport for passenger numbers, hosting 1.25 million passengers in the 2013-2014 financial year. Queenstown Airport is also one of New Zealand’s busiest helicopter bases and is heavily used for tourist ‘flightseeing’, especially to Milford Sound and Mount Cook, using both fixed-wing and rotary-wing aircraft. 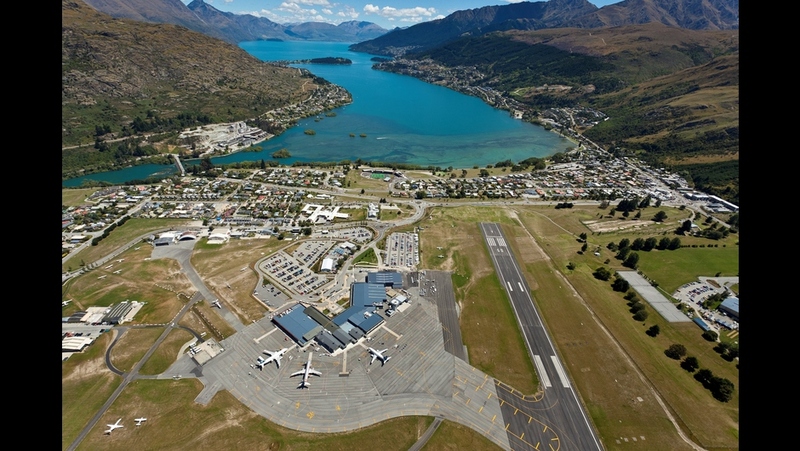 Queenstown Airport serves as a direct gateway to some of New Zealand’s most renowned scenery and visitor experiences. This entry was posted in Airports, Tourism, Travel, Travel Awards, Travel Management, Travel Services, Travelers and tagged Adam Twidell, Bill Prince, New Zealand Tourism, PrivateFly, Queenstown Airport, ‘World’s Most Scenic Airport Landing’. Bookmark the permalink.